As we make our way into the 21st century, The Transformers franchise continues to rollout cartoons, toys and other manifestations. Moving on from the rehashes, beasts and Japanese incarnations, the robots in disguise were hard pressed to find a place to hide. Japan continued to unleash cartoons and accompanying goodies. In 2002 Transformers: Robots in Disguise became the first Japanese-original Transformers cartoon ever officially dubbed and broadcast for a US audience. Debuting about eighteen months after its Japanese incarnation, it aired (not without problems) from September 8, 2001 to March 30, 2002. Following this up was Transformers: Armada a franchise that launched in the year 2002. It was the first franchise in the Unicron Trilogy, and was followed by Energon and Cybertron. The series featured components including comics, a toyline, video game and naturally a cartoon series. Seeing Armada was the first Transformers cartoon to be co-developed in the United States and Japan several characters were coloured differently. 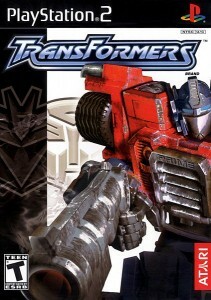 Transformers: Energon then aired in the US from January 2004 to June 2005. The series introduced to Transformers cartoons the technique of combining cel-shaded computer animation with 2D cel-animation, creating a fusion between the CGI of Beast Wars/Machines and traditionally animated series such as Robots in Disguise. At the same time Transformers: Universe was shown primarily from 2003 to 2005 which consisted of a toyline and comic series. The comic series was produced under the auspices of the then-Official Transformers Collectors’ Club. It was released at each year’s BotCon convention and encompassed three storylines. When the live-action Transformers film was pushed back from November 2006 to July 2007, Hasbro needed to create a filler line to bridge the gap in their product offerings. That bridge was a revisitation of the original Generation 1 characters, dubbed Transformers: Classics. Although no cartoons or comic books were planned for the line by Hasbro, Fun Publications picked up the ball for their Official Transformers Fan Club Magazine comic, making Classics the basis of their 2007 story-arc, “Crossing Over”. Michael Bay and Steven Spielberg then injected new life into the franchise via new motion pictured series highlighting advances in motion picture visual effects while giving Hasbro another opportunity to sell toys and other little nuggets of money making fodder. The world was then subjected to two more films while Transformers Animated changed direction and brought a highly dynamic and stylized look to the toys and fiction. Transformers: Prime much like Iron Man – Armoured Adventures was aimed at a younger teen audience. The multiple Daytime Emmy Award-winning computer-animated television series premiered on November 26, 2010. The Transformers: Rescue Bots cartoon series was then launched on December 17, 2011 with a preview of the first two episodes, and the full season starting February 18, 2012. Unlike Prime, Rescue Bots was animated in Toon Boom Harmony (similar to a Flash cartoon), and aimed at a younger generation of Transformers fans. Unusually for a Transformers cartoon, it features no Decepticons. So what is next for The Transformers? More toys? Yes more toys, comics, well yes (look for War of Cybertron). Perhaps the brains of Hasbro need a new angle. How about Transgenderforms? For the record, if I could be a Transformer I would transform into an ATM or Megan Fox’s vanity unit. Read Part 1 of The Transformers: A visual transformation.